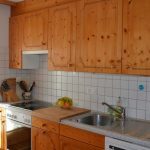 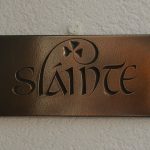 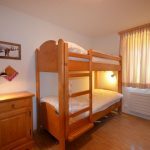 A great family apartment to rent with 2 bedrooms – one double bedroom and a bunk bed room with 4 beds. 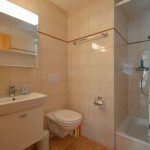 There is a full bathroom and a full shower room, plus a fully fitted kitchen, dining area and living space. 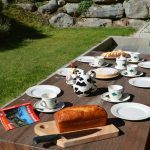 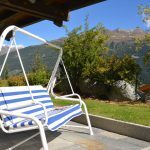 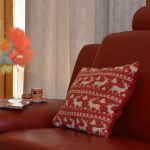 The property benefits from a lovely sunny private garden, complete with garden furniture and a lovely private hot tub – perfect after a hard days skiing! 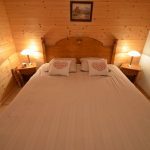 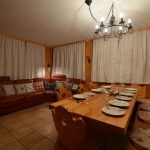 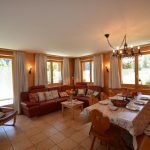 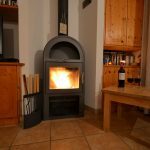 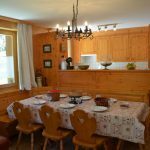 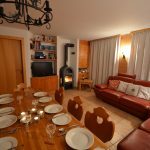 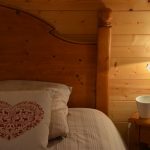 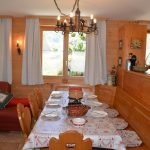 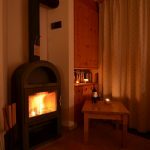 There is private garage parking underneath the apartment and it is just a few steps from the piste and a couple of minutes walk to the village, (making a car optional).